lofoten Gore-Tex Pro One-Piece (M/W) is rated 4.6 out of 5 by 7. One of our most iconic products was a result of a bold move made by an employee and freeride lover. In search of the perfect powder piece he ended up sewing the jacket and pants together, and a new style was immediately born. The lofoten Gore-Tex One Piece is made with two different kinds of GORE-TEX ® Pro fabrics to ensure the best protection and movement under demanding conditions. The wetsuit inspired opening provides better mobility and makes the product even more comfortable. storm fitted hood amplifies the suits durability and will you keep dry in all weather conditions mother nature has to offer. Rated 5 out of 5 by HansiAT from Great! For warm and cold days, just perfect! Amazing product, I wanted a one-piece suit for so many years and finally tried it out. I was first a bit skeptical, if this suit would perform well on the warm as well as on the cold days, but it proved to be awesome in both! During warm days (spring skiing at around 15 Celsius plus) it worked amazing: open the chest vent and a bit on the vents on the legs and you have an amazing airflow inside the suit, not comparable with any jacket/pants i have ever tried! Now i understand the positive effect of not having a normal zipper on the front. In the cold (all zippers closed) it keeps away the wind and depending on what you wear underneath keeps you dry and warm. The only place where i found the suit a bit inconvenient was while not skiing i.e. sitting in the hut etc. (I know it is not made for that). However, any inconvenience is truly abolished by the comfort and style this suit brings with it while skiing. Overall, you feel kinda invincible wearing it in any condition. I am already looking forward to wearing it next season! Best skiing suit I have ever had although pricey! Rated 5 out of 5 by Guido from All in one Protection I first came across a Norrøna one piece suit three years ago whilst guiding in Switzerland. It was my sister that introduced me. Back in the late 1980's; one piece suite were standard but not technical. 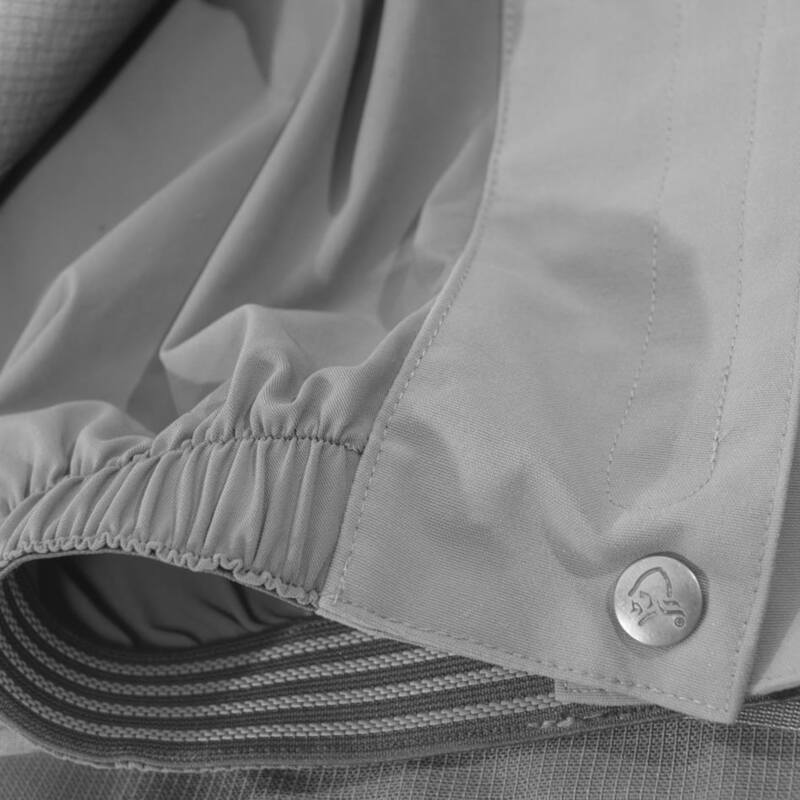 The concept of one piece eliminates the gap when using jacket and trousers. Firstly, any one piece, eliminates snow getting to your extremities. Factor in the technical features nowadays of Gore Tex, you have a formidable piece of equipment. I prefer the term asset. When you get one of these, it's an investment in survival, comfort and license to venture into the extreme. Recently, I git my own suit from Norrøna and used it in the absolute extreme. It's what it's designed for. When I first tried it on, I was worried about the fit. It looked big, once I got into it and did the usual stretches, I knew it was perfect. Flexibility is really important with any product if you're climbing, skiing, snowboarding or any action sport. The features and technicality have been thoroughly thought through and executed with this product. So, if you like the high extremes of weather, altitude. This is a must have component. Rated 5 out of 5 by Rdsmith from Feature packed one piece! Love all the features (pockets, vent zippers and more) on this one piece. The fit is a bit big but you can adjust it yourself to make it a bit better. The color is awesome and I just love it! Rated 3 out of 5 by Gimo from Impractical After producing the very best gore-tex one piece for so many years (admittedly, some of the colours were a bit suspect! ), why did you have to change what was excellent into something which is totally impractical in respect of entry. I understand that you are trying to be original with this latest version of the suit but the over the head/chest zip arrangement is just silly. Over the years, I have bought several versions of the original suit which I use for both professional and personal leisure skiing and I only ordered the most recent model out of curiosity to see how it would work out. My fears have been confirmed. Next year, please go back to something based on the original front zip design in a plain strong colour. Thanks. Hi, just wondering about size of a hood; would the hood be possible weak on top of the helmet? Thank you in advance! Hi, The should be pushed sideways to the hole to fasten. What are the two small cords for, which are placed inside the one-piece suit (Tried it on in a shop and wondered)? Will the new suits for the next season have an exit for headphones inside? The one from last 2017 does not as far as I noticed. Hi. The loops in the onesie are for suspenders. You can purchase these in our Webshop. See the link: https://www.norrona.com/en-GB/products/svalbard/suspenders-25mm/?color=7700 Unfortunately the suit does not have headphone exit in next years version. How to take it off? Didn&rsquo;t see it in the video. Hello, I measure 174cm and I got a S and the fit is great, however there isn't enough room to wear anything like pants under it. Is the simple shell of the one-piece enough to protect from the cold (I'm particularly worried about the legs)? hi, if temperature goes below 0degree, this one layer is not enough... I typically use thermal underwear - then all I feel allright. I am 178cm and 65kg. Is my size S or M? Why is there no drop seat on your one-piece? In my opinion this is a major drawback in the design. Most if not all one-piece baselayers have a drop seat. Hi Alain, I used this piece during the Lofoten shoot, and from my experience you don't really need a drop seat. 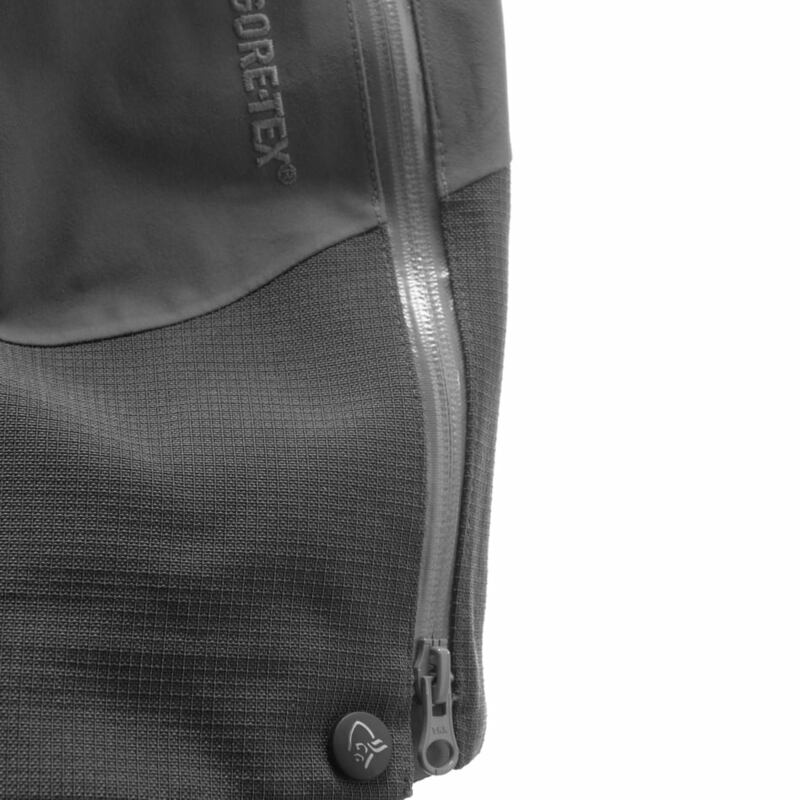 The reason you need it on the baselayers is because you'll be wearing insulating layers over it, which is a bit of a hassle to take off every time you go to the toilet. As this is your shell, the outermost layer, it's faster to just take it off rather than to use a drop seat function.